It was supposed to be epic. During a late-night poker game, tennis teammates Colin, Ceo, Grahame, and Rhody make a pact to go on a camping trip in Yosemite National Park. And poker vows can’t be broken. So the first sign that they should ditch the plan is when Rhody backs out. The next is when Ceo replaces him with Ellie, a girl Grahame and Colin have never even heard of. And then there’s the forest fire at their intended campsite. But instead of bailing, they decide to take the treacherous Snow Creek Falls Trail to the top of Yosemite Valley. From there, the bad decisions really pile up. A freak storm is threatening snow, their Craigslist tent is a piece of junk, and Grahame is pretty sure there’s a bear on the prowl. On top of that, the guys have some serious baggage (and that’s not including the ridiculously heavy ax that Grahame insisted on packing) and Ellie can’t figure out what their deal is. And then one of them doesn’t make it back to the tent. Desperate to survive while piecing together what happened, the remaining hikers must decide who to trust in this riveting, witty, and truly unforgettable psychological thriller that reveals how one small mistake can have chilling consequences. Well, you can definitely count me out on any possible hiking trip in Yosemite National Park after reading this. Okay, that’s definitely an exaggeration because I do love a good hike…hmm…Oh! You can count me out of ever camping in Yosemite National Park after reading this book. In fact, camping in general. This book was everything that has always made me terrified of camping and completely disconnecting from society: unexpected weather, wild animals, inappropriate camping gear, lack of sustenance, and of course, drama between all of the people camping together. Yep, you guessed it, this killer thriller novel about teens hiking in the woods contains drama. To be fair, I will say that the relationship-y drama takes very much a back seat to the survival drama for the most part–at least for me. It was a welcome change, in all honesty. Now, I’m not always a fan of switching point of views. Especially if they are changing between sexes, if only because I find that some authors are not very good at switching between the two. However, I have to give Wallenfels for using two very distinctive narrators that are different enough personality wise that it was easy to make the distinction (the titles of the chapters indicating who was narrating, not-with-standing). 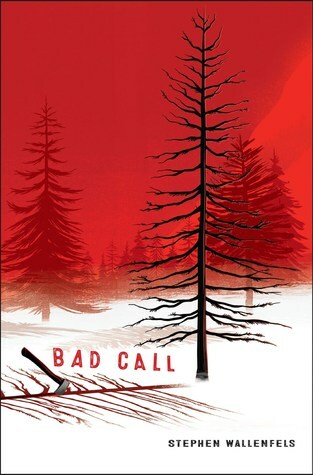 I read Bad Call in one day, and it was definitely one of those reads that enthralls you and then leaves you wanting more at the very end. If anything, my only negative comment is going to be how quickly the end was resolved. After so much narrative build-up, it felt like we needed a bit more composition to get us from A to B, as it were. Overall, I recommend this for fans of the outdoors and thrillers. Around the holidays I tend to be more susceptible to a love story than I am on a normal average day, so when Hyperion sent me a copy of this book, I couldn’t resist. This book is equal parts E! network and Jane Austen, via Bridget Jones’s Diary and I enjoyed every single page. It was a relaxing, albeit freezing, Southern December Sunday when I picked this book up…and finished it in that same exact spot. Strohm’s storytelling was lighthearted and fun, full of literary references that pleased this English Major, but not too many to make the Darcy character unlikeable or cold. In fact, I think Strohm made Jamie the character I wish Darcy had been all along. Although, that would have made Pride and Prejudice an entirely different narrative. As someone with a sister, and a sister whom I love but don’t always agree, I really enjoyed the dynamic between Dusty and Dylan. It’s hard to capture that kind of sisterly relationship in words, and I think Strohm did an amazing job. I also adored the musical inspiration behind their names, because I am a sucker for classic music and obviously so was their mother. 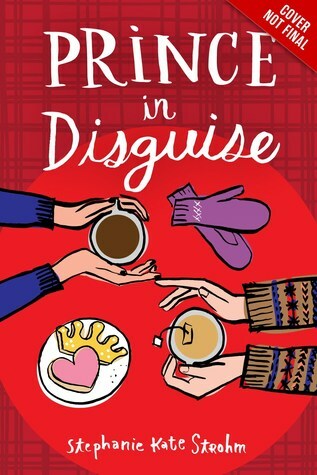 I also came out of this novel knowing a lot more about Scottish culture than I ever thought I’d know, and so I’m officially skeptical of Haggis and all it is made of. Although, I do appreciate the Robert Burns celebration, as I am a sucker for his “A Red, Red Rose” poem. Overall this book was delightfully written and I could have read two more books of Jamie and Dylan’s banter. Instead I leave you with my 4 Bard rating and the playlist I created especially to celebrate this novel. Be sure to give it a listen, I chose my personal favorite Dylan song to represent Dylan. Let me know what you think in the comments! I looooooooooove this book. I couldn’t put it down. I’ve had it for almost a year and I can’t believe I didn’t read it right away. In the last year or two I’ve realized I really love mysteries, and this book is perfect for that. I love trying to figure out who did it. But even though I guessed who it was, I still think that Sharpe does an excellent of keeping readers of track with other possible suspects. The back and forth from present to past was done really well. I’ve read a few books where authors don’t have the right rhythm and it ruins the whole flow of the story. But Sharpe does an excellent job of keeping us in the present while still giving us a great glimpse into the past. Especially, since this is the only way we get to know Mina. Get to know how Sophie really feels about her. Their entire relationship takes place in the past before Mina died and we don’t get a chance to see them in the present time, but we still get great insight into Mina’s character through those flashbacks. Their relationship is flawed and beautiful. From best friends as little kids to growing up to realize that what they felt for each other was more than just friendship. As we see more flashbacks we see that Mina struggled with her identity because of her religion, and with her feelings for Sophie because of her brother’s feelings for Sophie as well. The fact Sophie actually says the word “bisexual” makes me so happy. In so much of today’s media, it’s almost like it’s a bad word to say. Which is so damaging to anyone who identifies as bi, like no one in the world can actually validate their identity. It’s so important that Sophie says the word, that she doesn’t struggle with it (even if Mina did). One of the things I loved the most about this book is that it felt real. 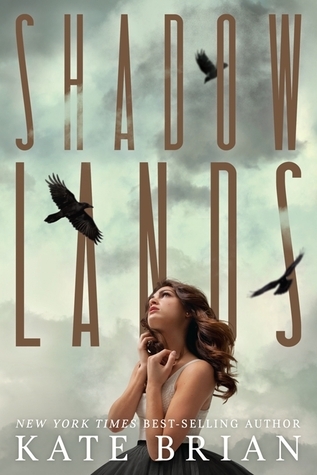 The characters and their relationships and their struggles are just so wonderfully done, and I can’t wait to read more from Tess Sharpe. Be sure to keep up with Midsummer’s LGBT History Month Celebration by keeping your eyes on our schedule! Nicholas Carter is content with his life at sea, free from the Ironwoods-a powerful family in the Colonies-and the servitude he’s known at their hands. But with the arrival of an unusual passenger on his ship comes the insistent pull of the past that he can’t escape and the family that won’t let him go so easily. Now the Ironwoods are searching for a stolen object of untold value, one they believe only Etta, his passenger, can find. In order to protect her, Nick must ensure she brings it back to them-whether she wants to or not. Together, Etta and Nicholas embark on a perilous journey across centuries and continents, piecing together clues left behind by the traveler who will do anything to keep the object out of the Ironwoods’ grasp. But as they get closer to the truth of their search, and the deadly game the Ironwoods are playing, treacherous forces threaten to separate Etta not only from Nicholas but from her path home forever. In a book about time travel, an impossible love, and even privilege, the most important quote is this, “But she wondered if, in moving outside the natural flow of time, they had forgotten the most crucial part of life – that is wasn’t meant to be lived for the past, or even the future, but for each present moment.” I legitimately had to stop reading for a moment and just take that in. Nicholas and Etta’s sexual tension and angst is 100% my jam. I am so here for all of that. I love a good angst-filled romance and Alex Bracken wrote theirs perfectly. I was always on edge with them, especially when they were dancing around each other (which, really, was almost always). These two characters are forced together to complete an impossible task through time-traveling, and in turn they learn so much about the other and themselves. While Nicholas learns what it could be like to love someone, someone like Etta, out of his time, he learns that he is not truly the heartless man that he claims to be. Etta, on the other hand, has lived a life of privilege and is forced to realize that she never once considered how life would be for Nicholas, a freed slave, in his own time. 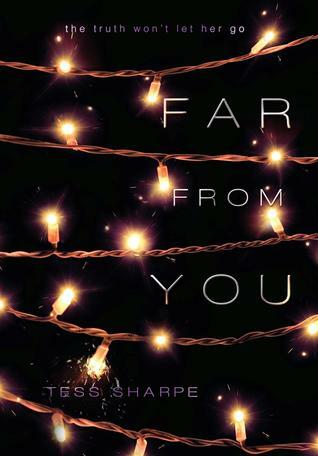 What I’ve noticed, not just in Passenger, but in so many YA novels recently, is that the stories are becoming more than just about romance and adventure and finding yourself, but also learning something about the rest of the world around you. In our society, representation is so important, yet sometimes so hard to find, so I can really appreciate when authors take their own leaps out of what they know to educate their readers. Definitely loved this one, even if it ended on a cliffhanger, and I can’t wait for the next one. Keep an eye out for the reading playlist I made to go along with this book tomorrow! Four and a half bards. Rory Miller had one chance to fight back and she took it. Rory survived and the serial killer who attacked her escaped. Now that the infamous Steven Nell is on the loose, Rory must enter the witness protection program. Entering the program alongside her, is her father and sister Darcy. The trio starts a new life and a new beginning leaving their friends and family behind without a goodbye. Starting over in a new town with only each other is unimaginable for Rory and Darcy. They were inseparable as children but now they can barely stand each other. As the sisters settle in to Juniper Landing, a picturesque vacation island, it seems like their new home may be just the fresh start they need. They fall in with a group of beautiful, carefree teens and spend their days surfing, partying on the beach, and hiking into endless sunsets. Just as they’re starting to feel safe again, one of their new friends goes missing. Is it a coincidence? Or is the nightmare beginning all over again? Okay, so I’m not going to lie: I was completely sucked into buying this book mostly because I had an Advanced Reader Copy of the sequel, Hereafter. But, I read the synopsis on the back of this book and got pretty giddy about a fictionalized serial killer story, because we all know how fascinating it can be and how amazingly creepy they can be too. So I sat down to read it. There were a lot of things that I found to be somewhat unrealistic, but again those things were explained by the realization at the end of the novel. I really think Brian did a superb job of creating a family dynamic that was both heart-wrenching and completely realistic. Two sisters that are close in age and yet so far apart in personality, a father that retreated after a traumatic family event…that dynamic was extremely well done. Now, things start to get a little weird when the family arrives in their new home of Juniper’s Landing, but I kept hoping and hoping there just wouldn’t be a random paranormal element involved. But, there was. But I refuse to give any of that away because I’d rather you all see if you can figure it out earlier than I did. I just didn’t see that coming!